Some are searching a long time – for their dream. 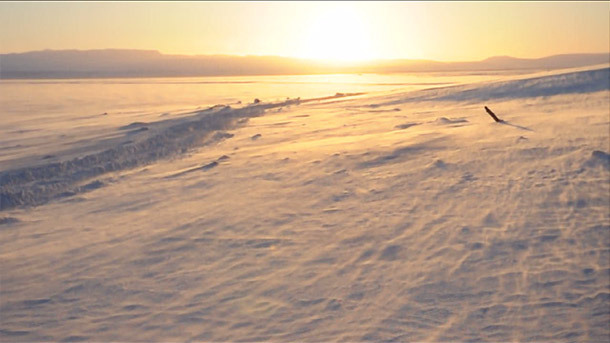 We found ice – and it was a dream. A small part in us will dream forever. One of our major goals is immediately ahead. Since the beginning of our planning Kaldakinn is at the top of our wish list. 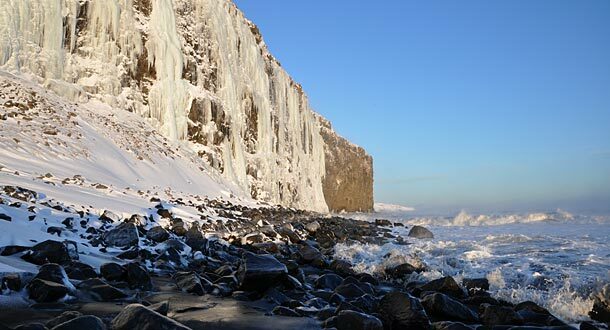 Kaldakinn offers unique opportunities, at this place the icefalls flow directly into the rough sea. 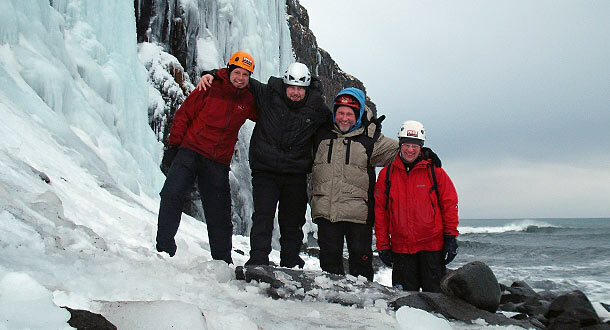 Arriving in the ice climbing Eldorado Kaldakinn. We digged our 4WD into the deep powder and recognized immediately that we definitely need another tool for moving around in this area. Luckily Pétur shows up and helps us with his Land Rover. 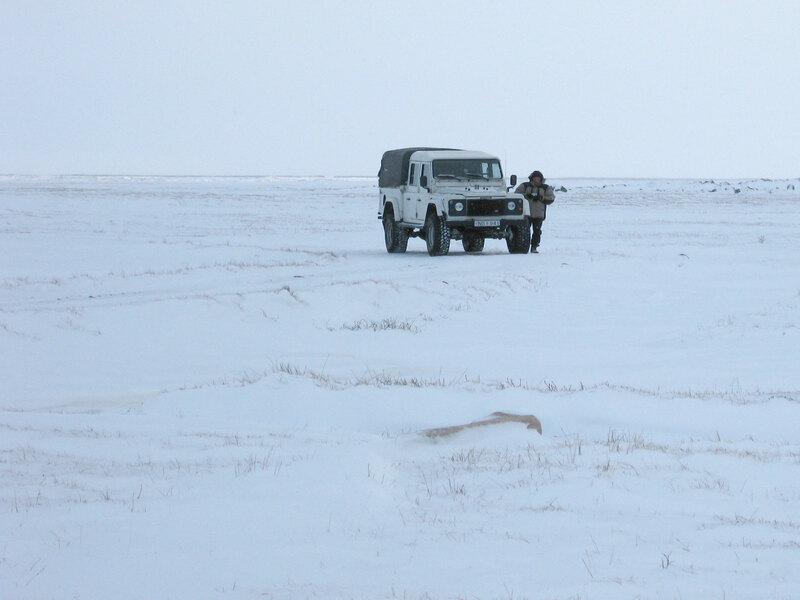 After we finally have dug out our “plastic jeep”, we immediately start to explore the area and check out the ice conditions. 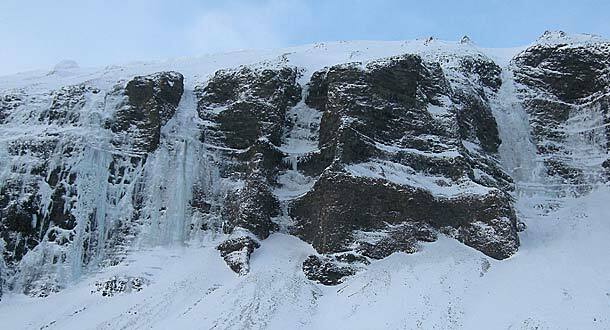 A general problem with ice climbing in Iceland is the danger of avalanches – some areas are particularly threatened by avalanches! There is no avalanche report in Iceland, as you might know from the Alps. Knowledge and a reasonable amount of time for your own assessment are absolutely necessary! Due to snowfall in combination with the usually strong winds, it quickly comes to large snow accumulations. We have experienced some avalanches especially in Kaldakinn, so be careful! In addition to the well known seacliff is a 4 km long cliff, which is divided into different sectors.  They offer many posibilities with fantastic climbing routes. Even some first ascents can still be made. We notice a clear-cut ice tube, which probably has shaped itself for the first time ever. On older pictures you never see this stripe completely frozen. 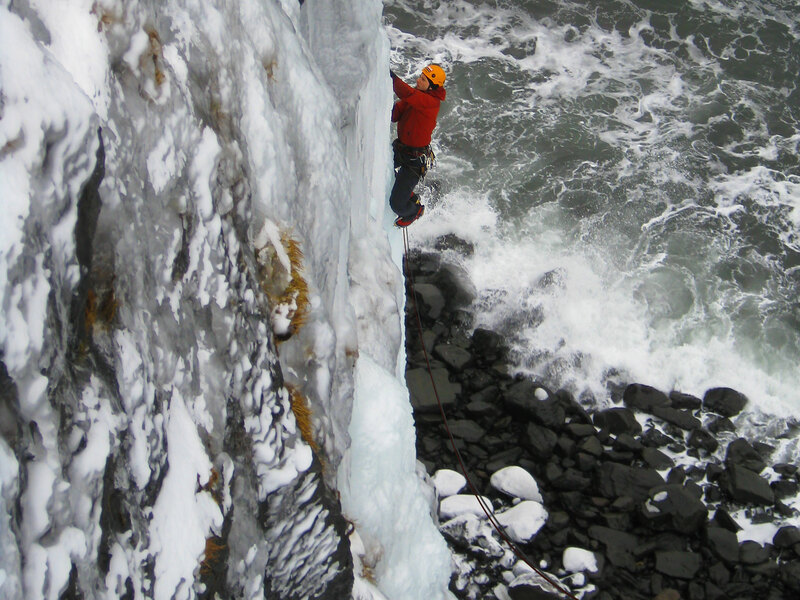 The ice climbing area is located on the private property of Pétur Hlöðver. Together with his wife Konny he runs the farm Björg, which is family-owned since the 18th century. Both of them have a fine sense of humor and it is great fun sitting together with them at night. 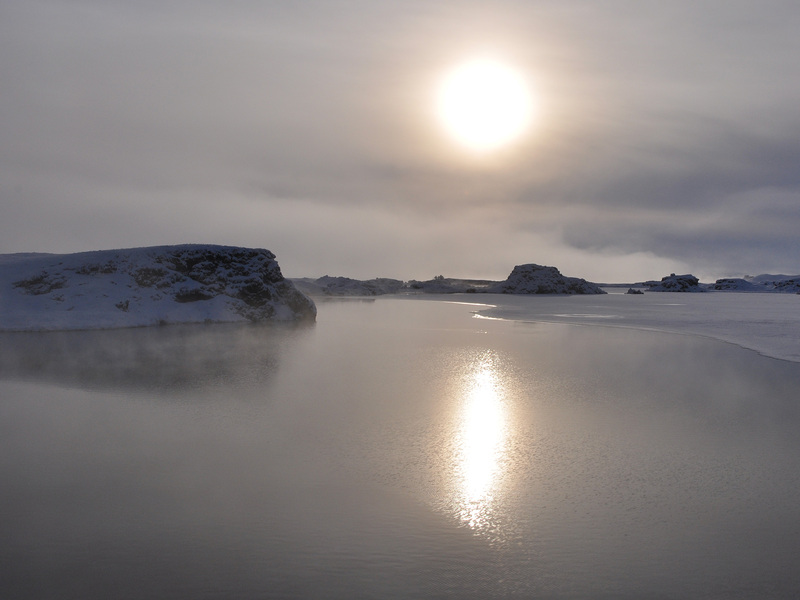 6 o’clock in the morning, Pétur comes to us: “It’s terribly cold outside” – my eyes are sparkling. The thermometer shows -12 °C – that looks good! 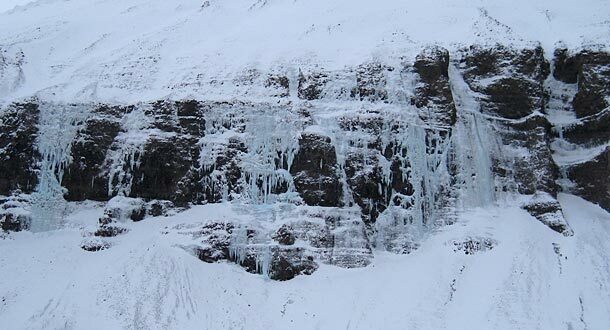 Fortunately a longer frost period has past by, and now an icy wind from the mainland blows right into the icefalls. Today is the day for the ice tube! 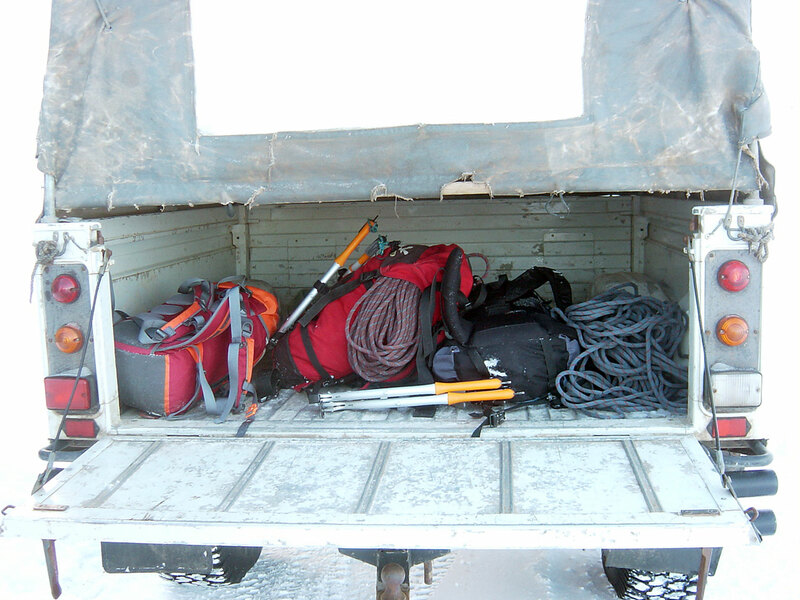 So put on the crampons and let’s go. This perfect ice climbing day takes its course – the result: Halli Gully, WI5, 120 m, 2 pitches long. A great new route in the sector Girnd in Kaldakinn. 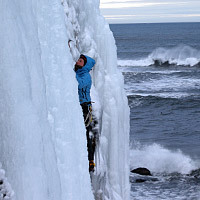 The next days offer a lot of ice climbing. Sometimes hard work, sometimes pure enjoyment. 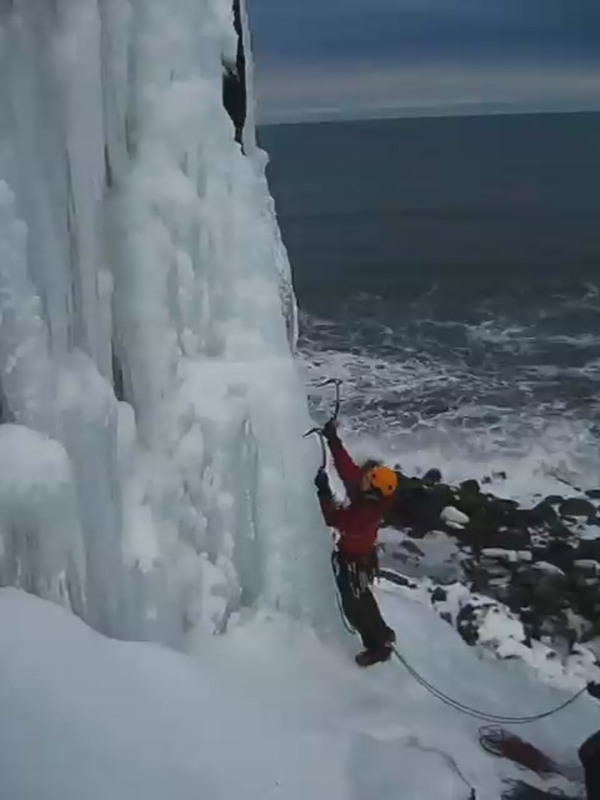 I work myself through a cold shower (the icefall has still plenty of water in the route Upprisa svínanna), having Gunter and Marco belaying me from underneath. On the belay above, we laboriously try to de-ice our ice screws and karabiner for the next pitch. 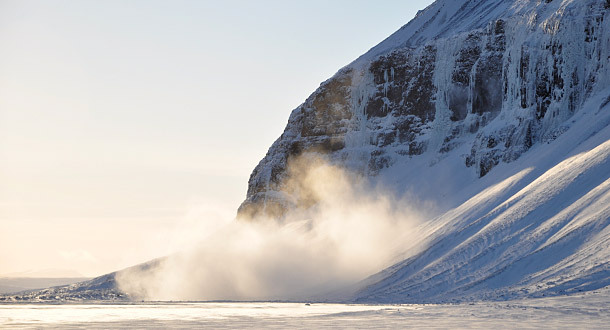 The route takes everything from us – strips of water alternate with incredibly hard ice. But we always have a lot of fun while climbing. 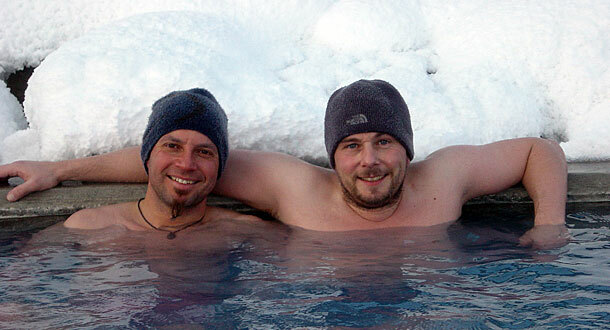 After that we relaxe in the hot lagoon Jarðböðin at the lake Mývatn. We are at the seacliff and climb routes right at the ocean. The location can’t be more extreme – the wind nearly blows us away, the sea whips its waves powerful against the cliff and causes a hell of a noise. Pure energy – untamed and wild! The ambience provides an extra adrenaline boost. These unforgettable days are the crowning conclusion of a successful ice climbing expedition in a country, that accommodates spectacular forces of nature and breathtaking landscapes as well as and many lovable people. Farm Björg in the Bay Skjálfandi. From Akureyri heading east on Road #1, then on Road #85 towards Húsavik, then Road #851 to the Farm Björg at the end of the road. From here it is about 3 km to the icefalls by Land Rover (no chance for a regular 4WD). Avalanche danger strictly observed! 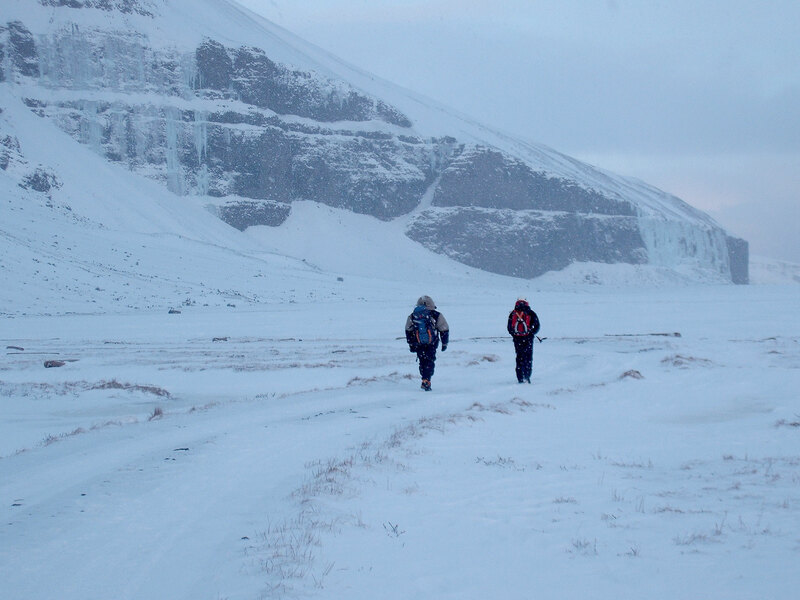 The approach is on scree slopes of over 40°, over many icefalls are meadow slopes of over 40°. 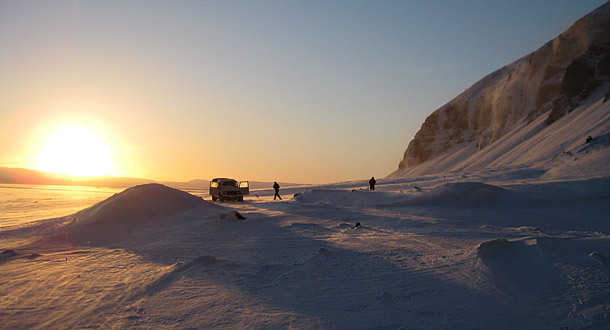 About 5 km from Farm Björg to the icefalls by Land Rover (no chance for a regular 4WD).